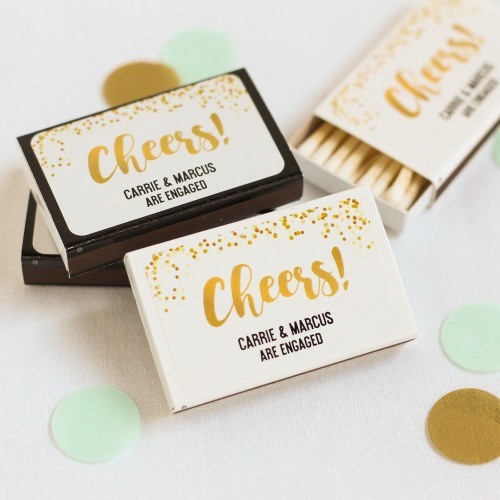 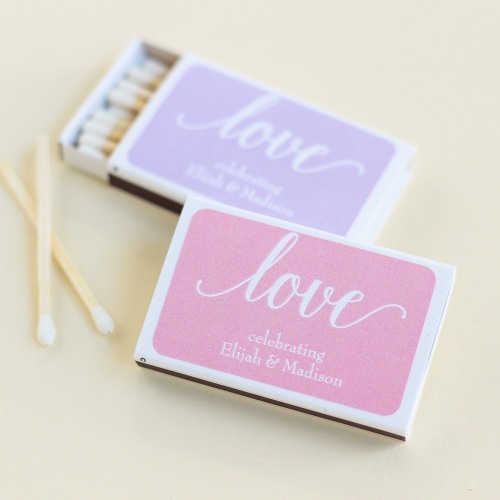 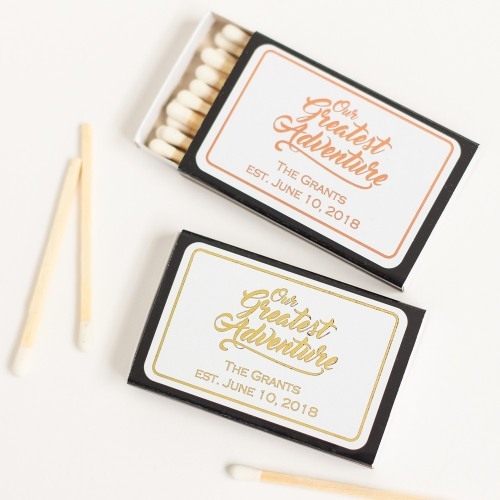 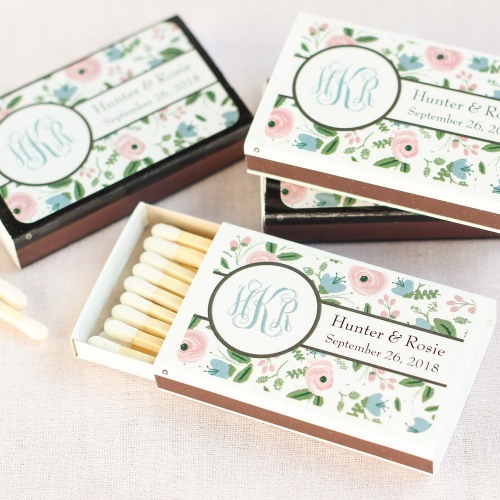 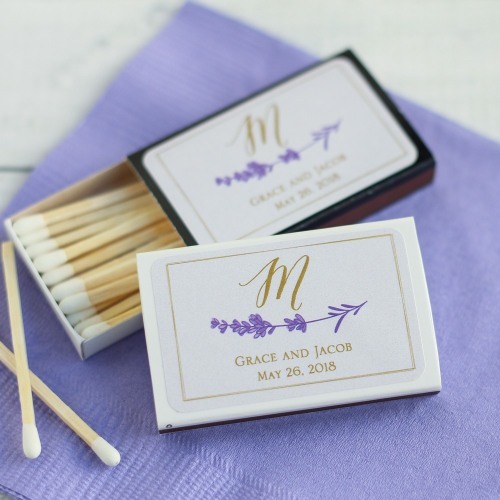 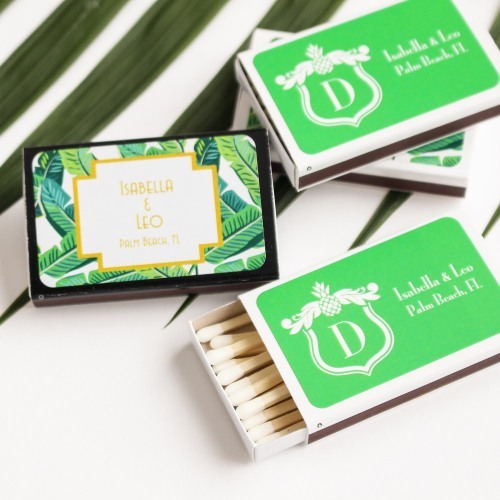 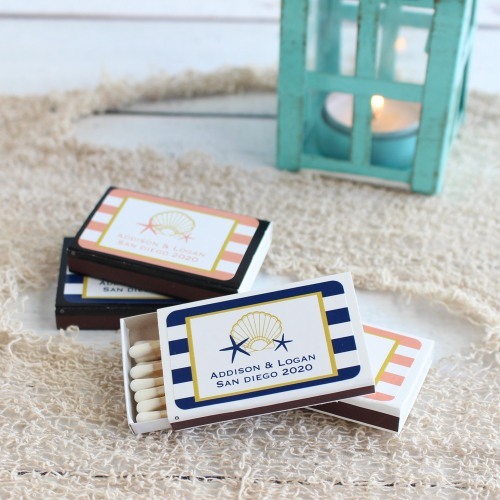 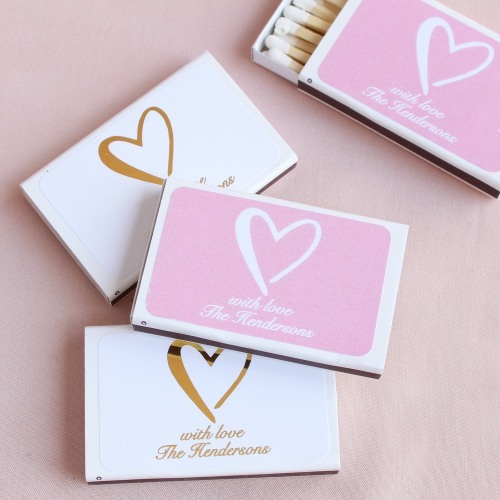 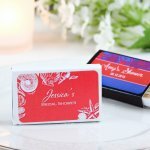 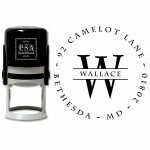 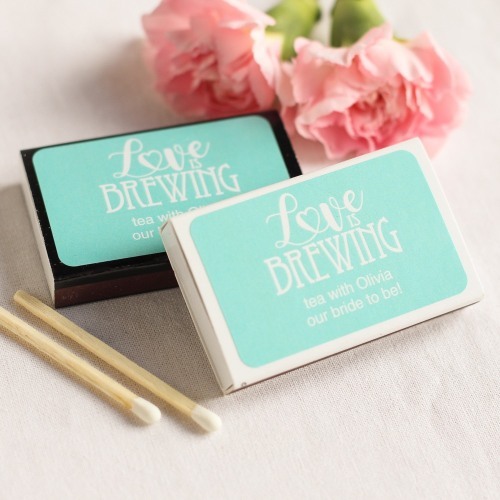 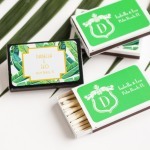 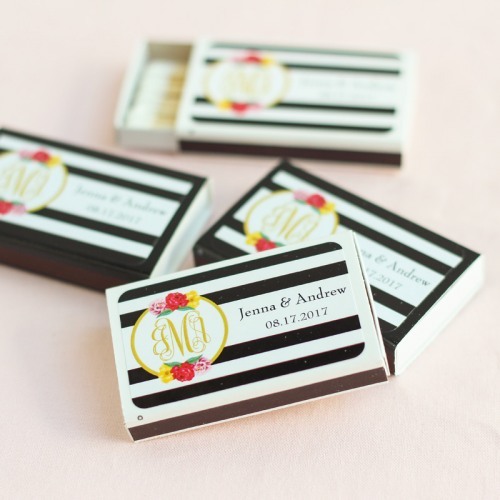 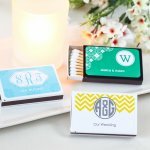 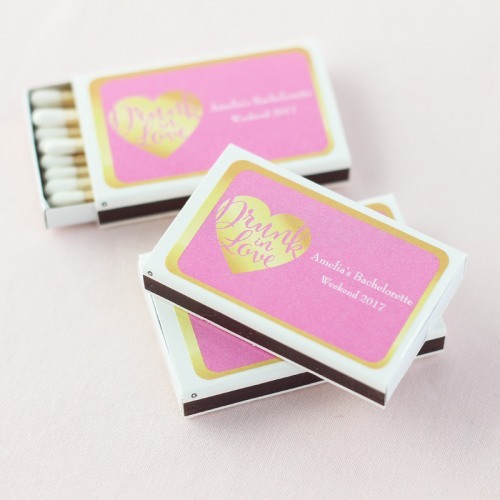 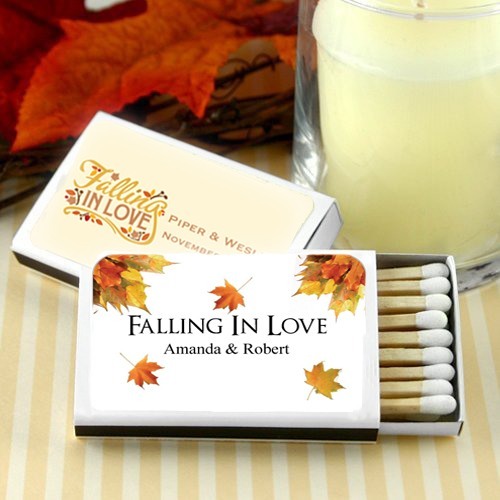 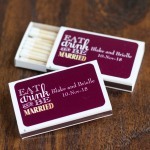 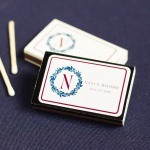 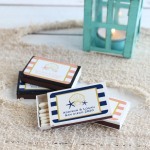 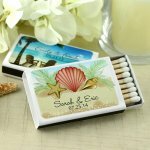 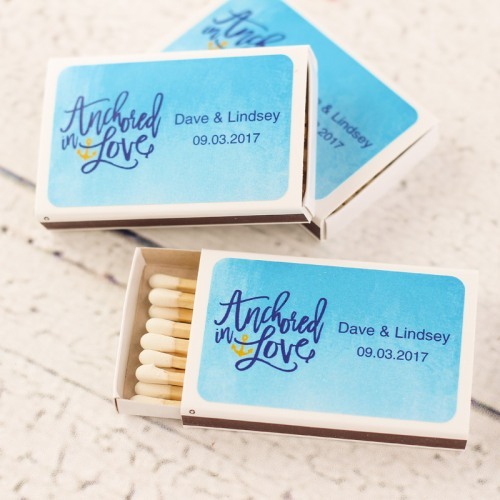 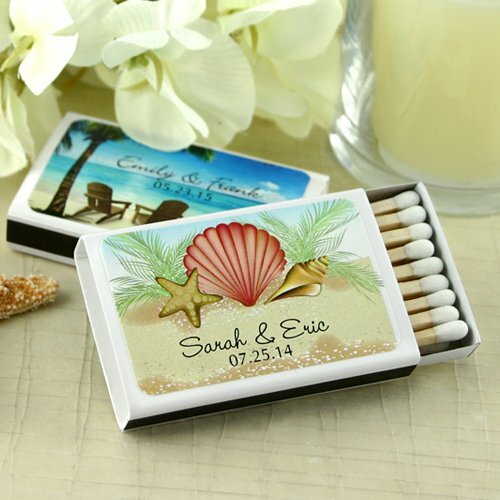 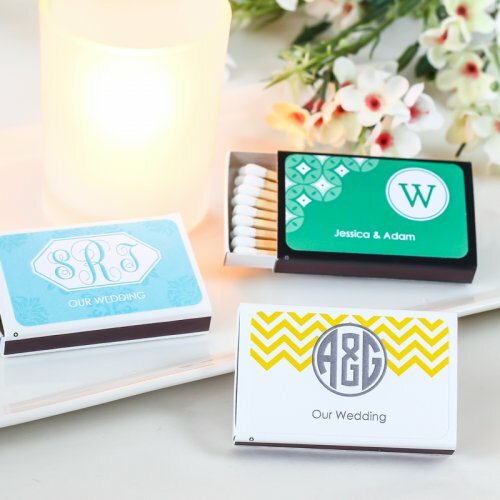 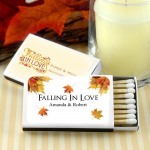 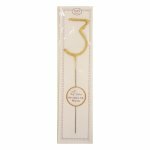 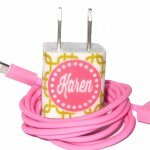 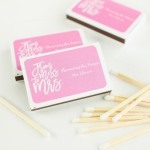 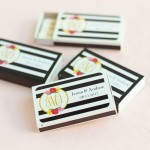 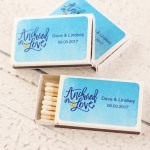 Bring a little light and personality to your wedding or bridal shower with personalized matches. 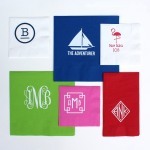 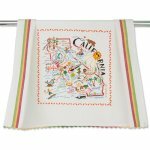 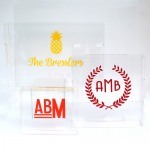 Each matchbox comes with your choice of a white or black sleeve and a variety of designs to suit your unique style. 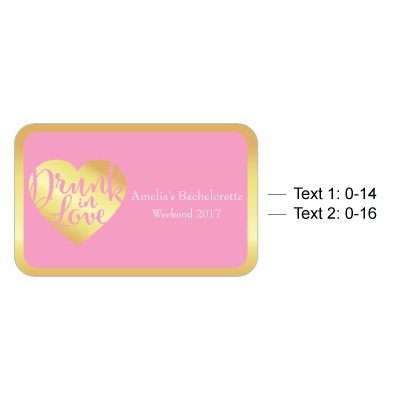 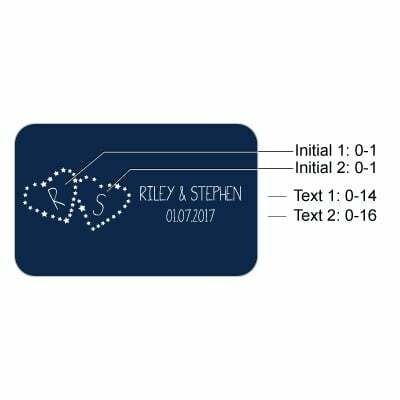 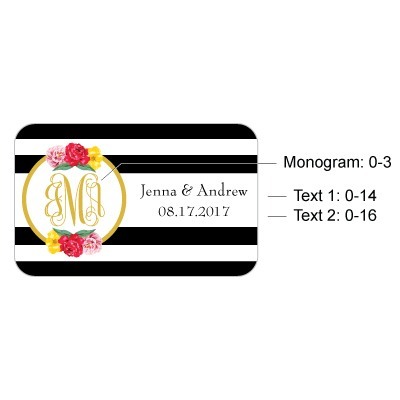 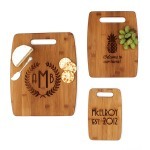 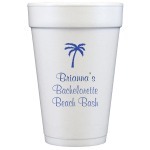 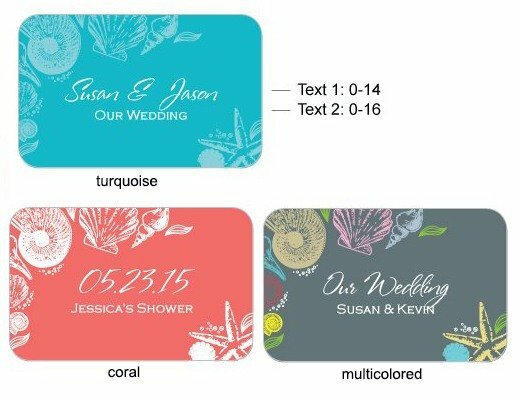 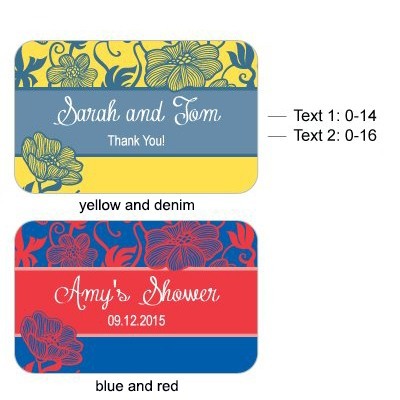 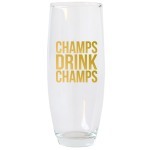 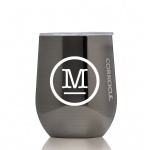 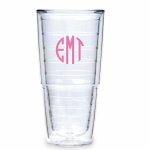 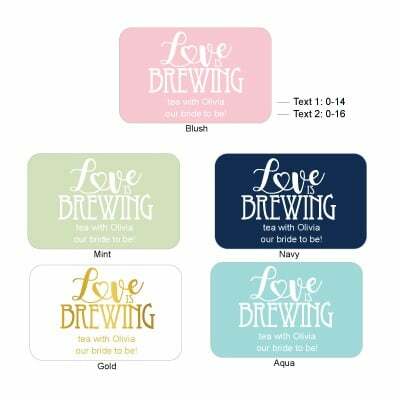 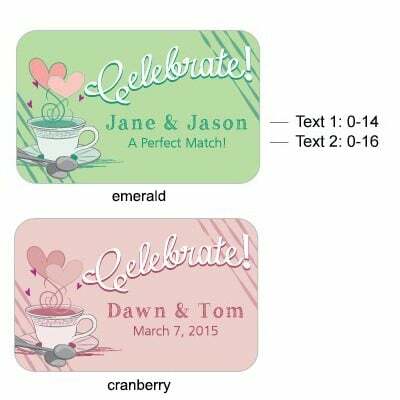 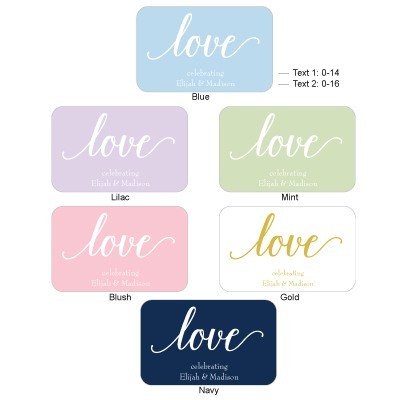 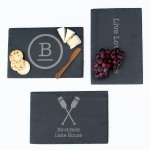 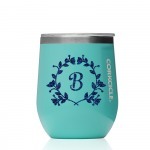 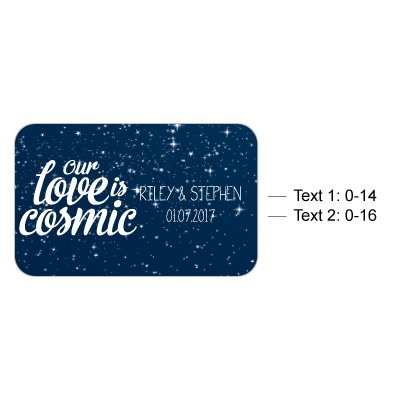 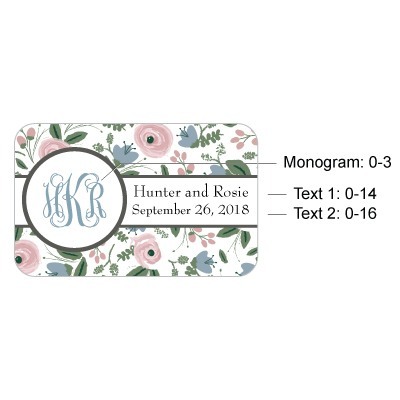 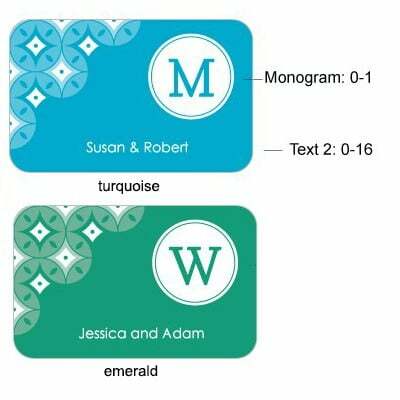 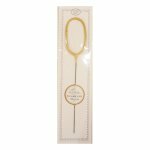 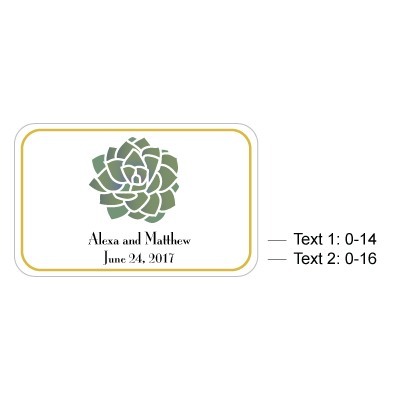 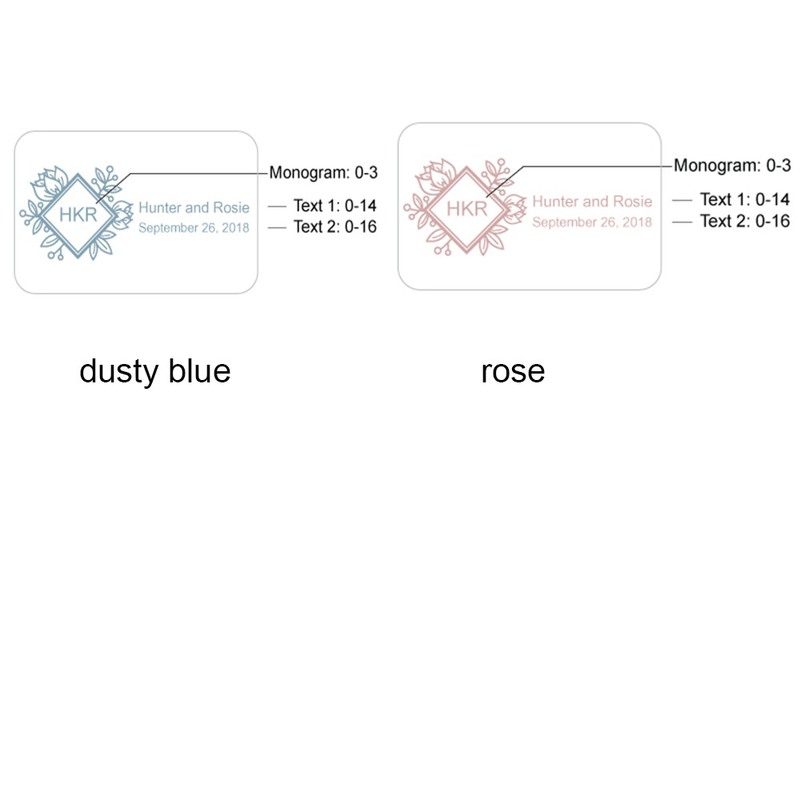 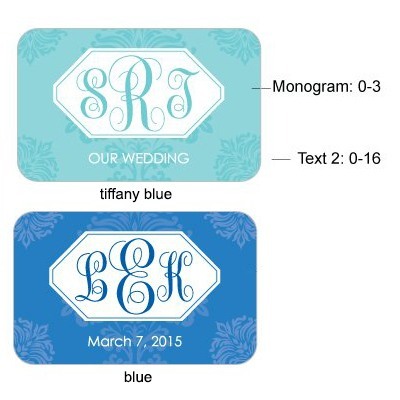 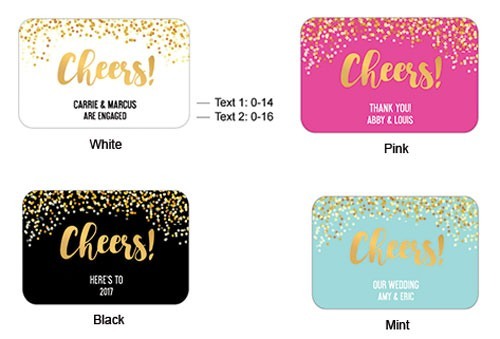 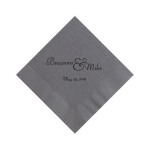 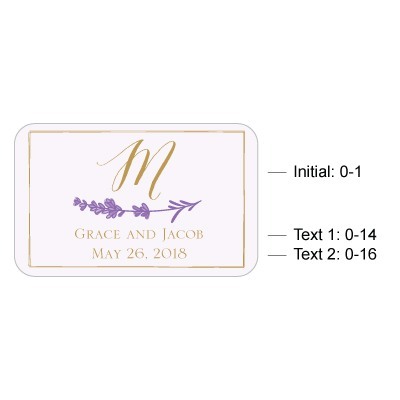 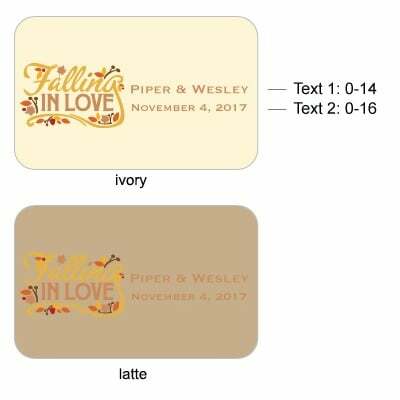 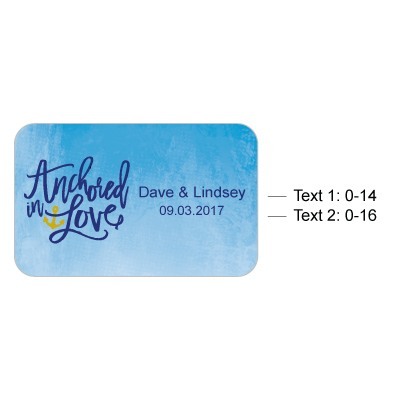 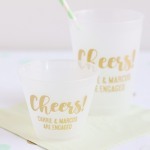 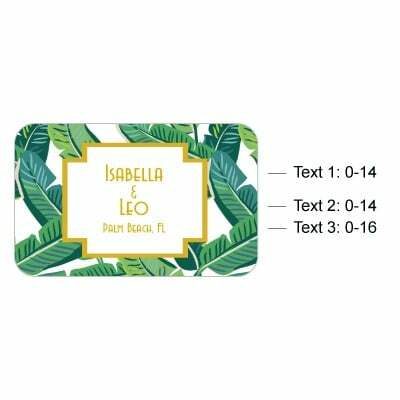 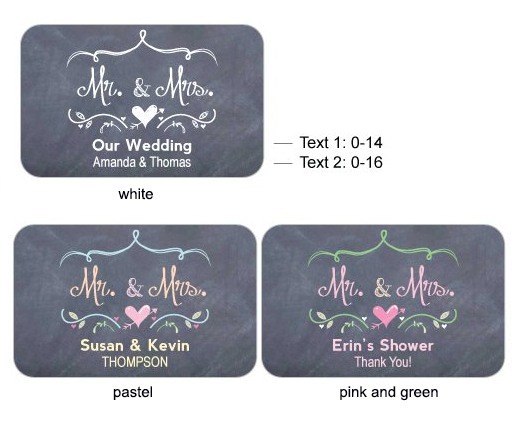 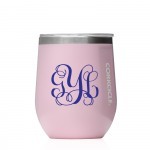 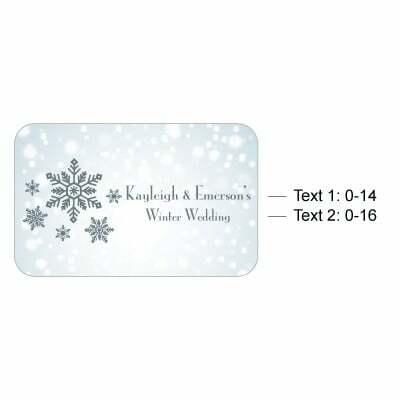 Customize your favors with your names and date or a special message for your guests. 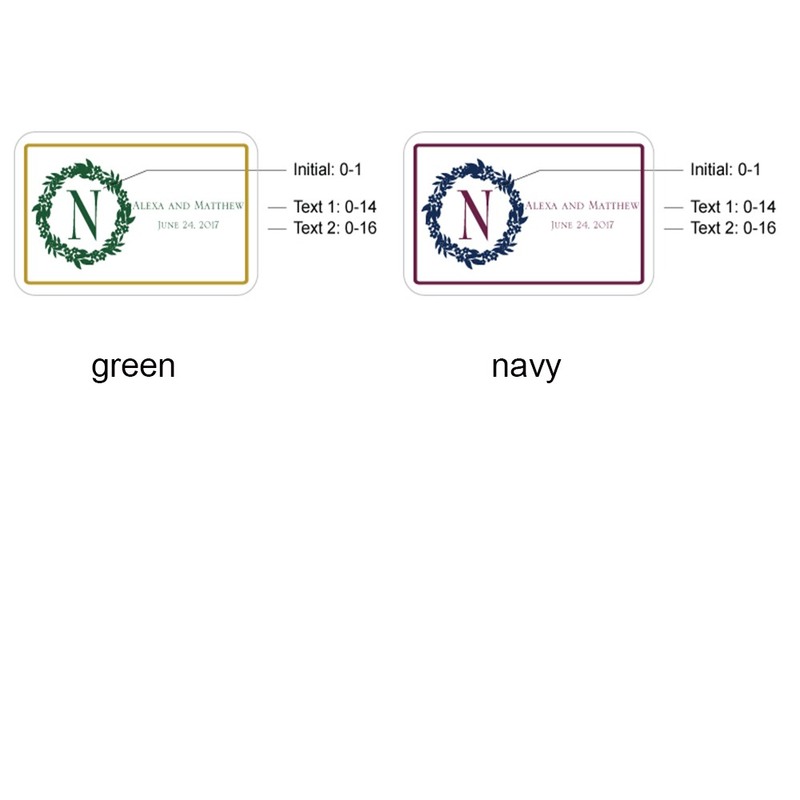 Self-sticking labels arrive attached to a separate sheet, some minor assembly required.